Step 1: try to take cute pic of dog and baby. Step 2: dog sneezes during pic. 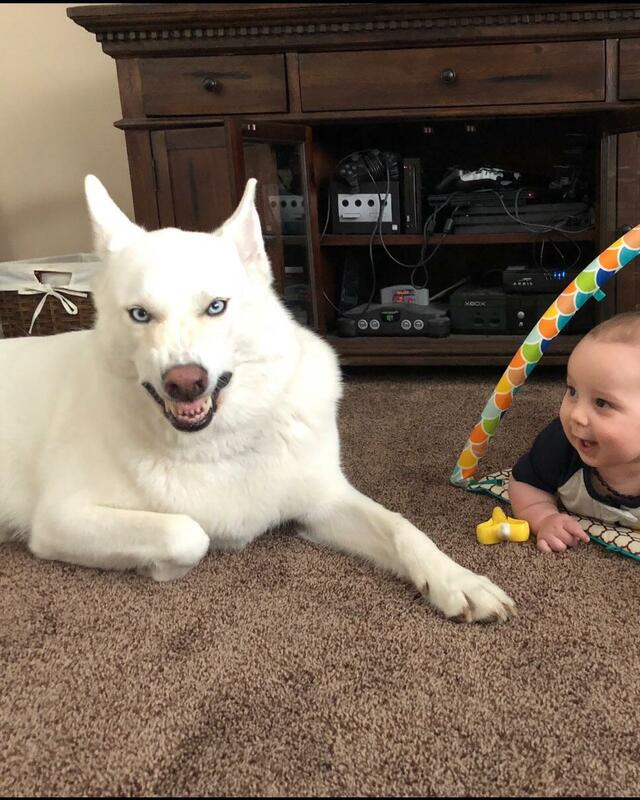 Step 3: accidentally capture my dogs inner demon, and my son thinks it's funny.